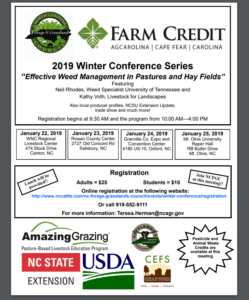 The 2019 Winter Conference Series of the North Carolina Forage and Grassland Council has scheduled a training at the N.C. 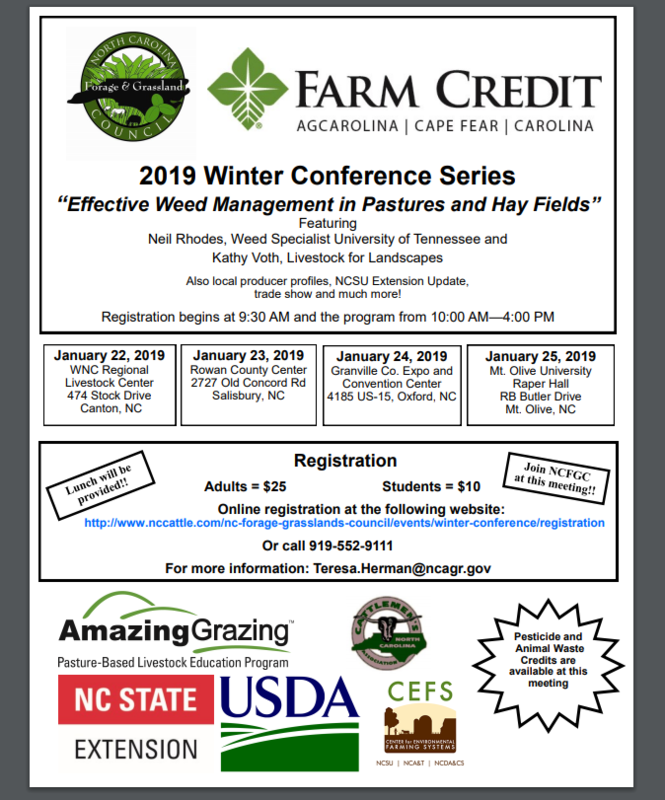 Cooperative Extension, Rowan County Center on Wednesday, January 23, 2019. Registration begins at 9:30 a.m., with the program running from 10 a.m. to 4 p.m. Lunch is provided with registration – $25 for adults and $10 for students. 3 Waste Credits will be offered at the training. Registration can be completed online or by calling 919-552-9111.